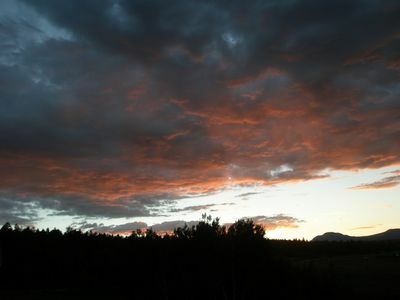 Remote Log Cabin Artist Retreat - comfort, serenity - spectacular views!! 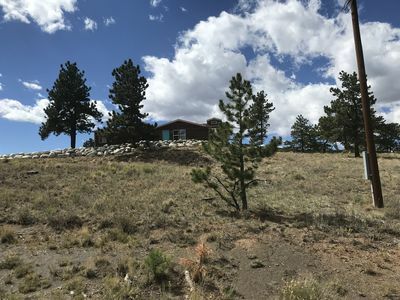 A very special place in the heart of Colorado! 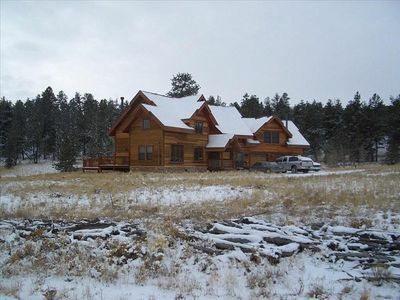 Custom built, charming log cabin situated on a hill overlooking snow peaked mountains through the trees. This is Colorado! 2BD, 1 1/2 BA, 960 sq. 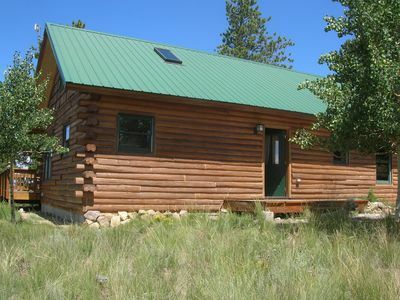 ft. real log cabin sleeps 4-5, and sits on a hill with views of mountains, forest, and plains. 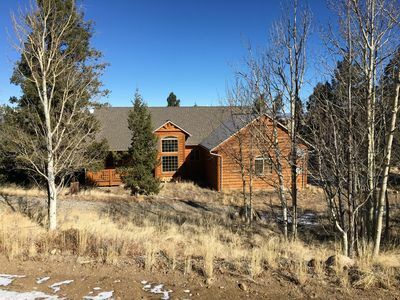 On 5 acres of land, 25 minutes to Buena Vista, CO and 10 minutes to Hartsel, CO, enjoy the tranquility of nature and wildlife at 9,400 ft. above sea level. 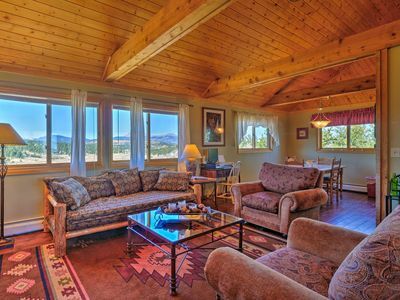 Spend the day sunbathing on the expansive back deck or tossing horseshoes, or drive 30 minutes to either Cottonwood Hot Springs or Princeton Hot Springs. 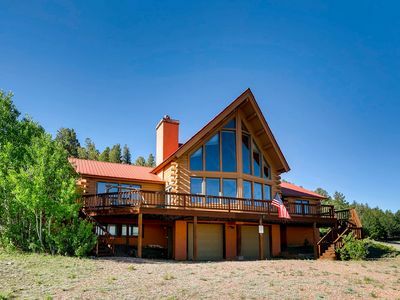 Just 5 minutes drive to the San Isabel National Forest for hiking, biking, fishing or fun with all-terrain vehicles. 10 minutes drive to Antero Reservoir for great fishing. 1 hour to Breckenridge Ski Resort. 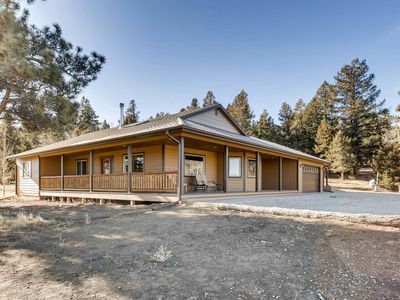 Enjoy the relaxing camp-like setting with the amenities of a modern home: Updated kitchen, oven, range, fridge, freezer, dishwasher, microwave, toaster, coffee maker, complete with kitchenware, and plenty of space for your personal necessities. 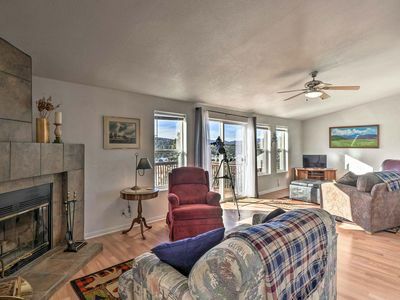 Tons of natural light from skylights and lots of windows, high vaulted ceilings, and a wood burning stove in the living room. 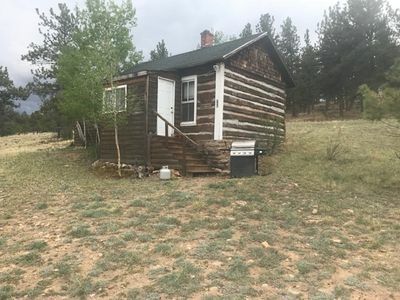 Open floor plan with a warm, cozy, rustic log cabin ambiance, 1 and a half baths with bathtub/shower and washer/dryer combo and a scanner/printer for your work needs. Stylish leather furniture, as well as rustic furniture. Outdoor picnic table on the deck with direct views of Buffalo Peaks, the Mosquito Mountain Range, and the Collegiate Peaks. The master bedroom has it’s own half bathroom and a queen size bed. 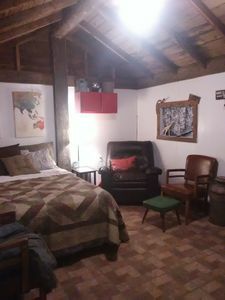 In the second bedroom, there is a 3 level, built-in bunk bed, and a skylight. 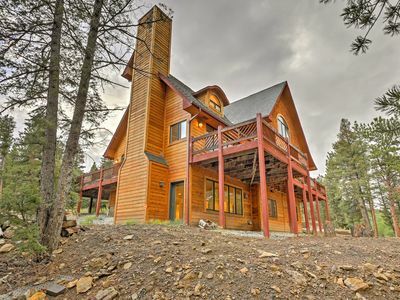 This is a great place to get away and work remotely, or a great place to get away from work! 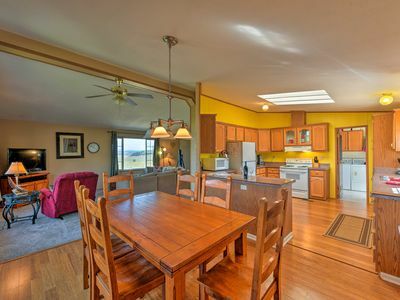 Grey Wind Ranch- Custom Ranch Home/ 3 Bedroom/2 Bath/Fire Pit/ RV Hookup/ NEW HOT TUB! 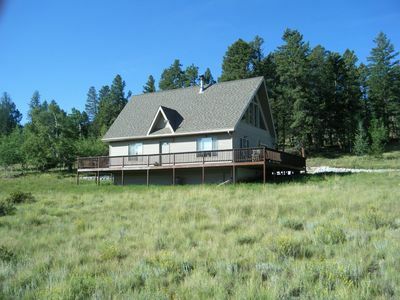 Hartsel House on 3 Acres w/ Mountain Views! 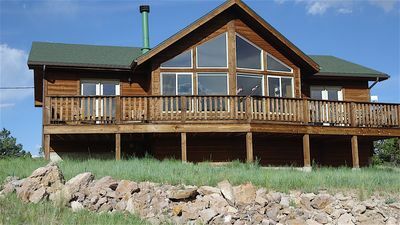 Ranch of the Rockies Cabin on 4 Acres w/Mtn Views! 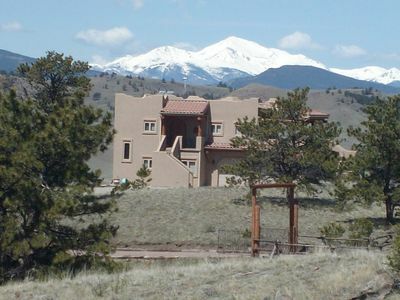 Ridgetop Home w/Mtn Views - 25 Min to Buena Vista!